From the moment Tetris escaped its original home, an obscure Elektronika 60 in Moscow's Dorodnicyn Computing Centre, it became something of a phenomenon. There can be few games as immediately recognisable, addictive and enduring as the block-stacking classic. Tetris originated from creator Alexey Pajitnov's childhood fascination with traditional puzzle toys, and the game's similarly elegant simplicity ensured it a place among gaming's greats. Like other classics, it's easy to understand: pieces you can move and rotate fall into a well; make solid horizontal lines and they vanish; the game's over when the pieces reach the top. But also, Tetris is tough to truly master, allowing you to refine your technique over time. The basic nature of Tetris also ensured that it found its way to countless platforms. The MS-DOS version spread Tetris to the west, but the true genius moment in Tetris history was in being bundled with the original Game Boy. The little monochrome version captivated the world; from that point on, there was no stopping it. 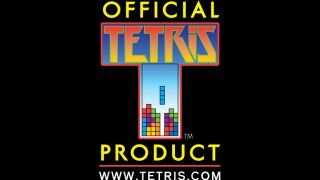 The Tetris juggernaut arrived on home consoles, handhelds, keychains and even the original click-wheel iPod. Of course, it's also found on iOS. EA's now had two cracks at bringing Tetris to the iPhone, iPod touch and iPad, and the original effort wasn't convincing. A problem with Tetris from an iOS standpoint is the game's reliance on responsive digital controls as the game speeds up. On-screen swipe equivalents never stood a chance. For the newer version of Tetris (69p, iPhone; £1.99, iPad), the swipe version remains as Marathon Mode, but we prefer One-Touch. This mode shows locations into which the current piece can fit. A timer counts down (and speeds up as the game progresses) and you tap a location to confirm, or tap elsewhere to get more options. Purists might baulk at such a radical departure from the original controls, but we reckon the iOS revision gives you the strategy of Tetris without the frustration of imprecise touch controls. There's also the puzzle-oriented Galaxy Mode where you dig down through junk, although it's a touch too reliant on power ups to achieve the best times - and the power-ups are, naturally, bought with In-App Purchases. With Tetris being so popular, it should come as no surprise the App Store's littered with clones, which are typically brazen in their approach, only occasionally doing something slightly different (for example, adding the odd non-standard shape), presumably in an effort to not be sued. Therefore, we're only interested in block-stacking games that do something unique, rather like Dream of Pixels (£1.99, Universal). On the face of it, you might question our judgement, since Dream of Pixels looks an awful lot like an upside-down Tetris; in reality, it's Tetris in reverse, with you using the familiar shapes to take chunks out of a menacing cloud, which ends your game if it gets to the bottom of the screen. However, what appears to be a cunning riff on Tetris in reality plays very differently, and interesting bonuses and game modes ensure Dream of Pixels is a must-have for action-puzzle fans. Of the remaining titles in our selection, there's Tetris in the DNA, but also crossover with match games. The key differentiator from the likes of gem-swapper Bejeweled is that our choices all take place in an endlessly refilling well. Some efforts simplify the basic block-stacking premise: Shibuya (69p, iPhone) has only a single column, and you must rapidly create chains of two or more like-coloured blocks. Meanwhile, Unify (£1.49, iPhone) returns shapes that spin and move, but has them come at you from two directions. Fortunately, Unify's limited to stubby rectangles with two coloured pieces (a system Puyo Puyo fans will immediately recognise), and instead of forming complete lines, you're tasked with grouping four identically coloured squares, which subsequently explode. At first, this is simple, but once the game speeds up and gives you a half-dozen colours to track, it's like combining stripped-down Tetris with juggling.